Not all eBooks are available to download or use offline. This is due to licensing restrictions. eRead Illinois is a program to promote reading throughout Illinois. Elmhurst College library can now provide several thousand ebooks - many of which are fiction - through participation in this program. What kind of stuff in in the eRead Illinois collection? Fiction, non-fiction, Young Adult and Children's Literature, even audiobooks. You can find cook books, gardening and crafts books, thrillers, detective stories, science fiction - the list is endless. What do I need to download an eboook? Where can I search for an eRead Illinois ebook? You can look in the Vu-Find catalog, the Axis 360 "Magic Wall," or you can search within the app once you have downloaded to your device. You get access to the ebook for 21 days. After that, it is just goes away or you can return so others can enjoy it sooner. How many books can I checkout at once? Each user account is allowed 5 items. Many devices can be used and you cam also use your desktop or laptop. See a complete list here. Why isn't my book available right now? These ebooks are shared resources. Sometimes you will have to place a hold on you book - you will be notified via email when you your book is available. For every 2-3 holds that are placed on an item, eRead Illinois will purchase an additional copy. You can always contact the Elmhurst College Reference Desk at (630) 617-3173, in person or IM us through the library homepage. You can also take a look at handouts or view any YouTube training videos at the eRead Illinois website. The app you need to download depends on what type of technology you will use to view your ebook - you can use laptop, desktop, tablet, some ereaders (Nook and Kobo) and your phone. If you want to look at an eRead Illinois ebook on your iOS device (iPhone, iPad, or iPod Touch), download the Axis 360 app at iTunes App Store or visit the iOS Help Pages. If you want to look at an eRead Illinois ebook on your Kindle Fire, download the Axis 360 app at Amazon App Store or visit the Fire Help Pages. **New Info for 5th generation Kindle as of 4/2/17. If you want to look at an eRead Illinois ebook on your Android device, download the Axis 360 app at Google Play or visit the Android Help Pages. ***New version of Axis 360 for IOS available on 3/8/16! If you want to look at an eRead Illinois ebook on your Mac laptop or desktop, download the Adobe Digital Editions software at Adobe website. If you want to look at an eRead Illinois ebook on your Windows laptop or desktop, download the Axis 360 Desktop Reader from the App Zone within Axis 360. **The Axis 360 app is now available in the Amazon app store for the 5th generation Kindle Fire! 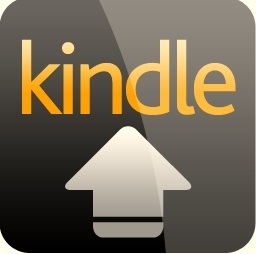 Patrons will no longer have to side load the app onto their Kindle Fires. Patrons who have side-loaded the app onto their 5th generation Kindle Fire should immediately delete the existing app and download the app that resides in the Amazon App Store on their device. Alternatively, patrons can search for Axis 360 on the Amazon website and send the app directly to their device. -Issues regarding eBooks not opening when offline have been addressed. -The audiobook player has been updated to improve performance. -Improved, more informational messaging has been added to the app when a patron is offline. -Logout messaging has been updated to inform patrons that they must be connected to Wi-Fi or a Cellular network to log back in to the app.The default Preferences setting for Automatically Delete Expired Content has been changed to Yes. -This means that the app will automatically delete expired titles from a patron’s device once the lending period is over. Previously, the default was set to No, requiring patrons to manually turn it on. -New messaging has been added for patrons who attempt to read items that were checked out in EPUB/PDF on the website. The messaging states that these titles cannot be read within the Axis 360 app and can only be read with a compatible eReader. -Improved messaging for maximum checkout notifications and hold periods. -The hold button no longer displays for libraries that do not support holds on titles. -Sorting by Publication Date now defaults to descending order. Previously, results were sorted ascendingly, which resulted in the oldest titles displaying first.